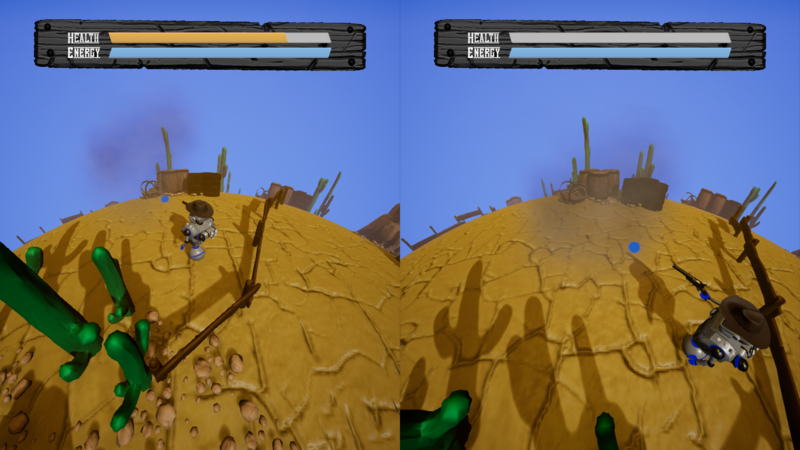 This world is too small for the both of us! 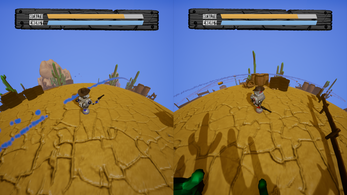 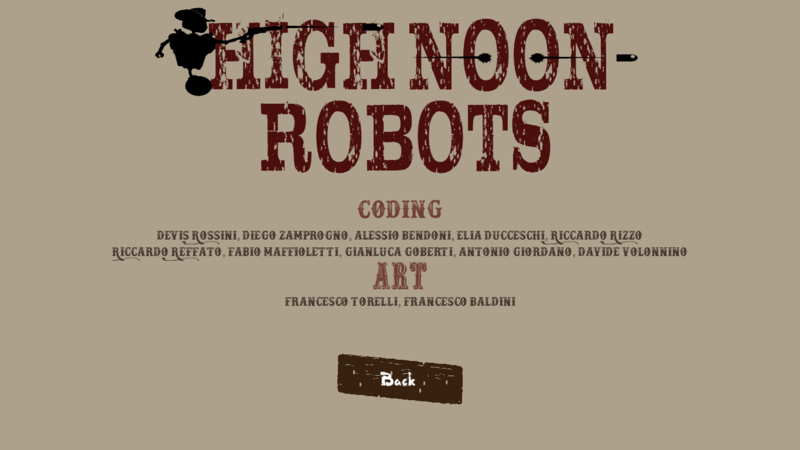 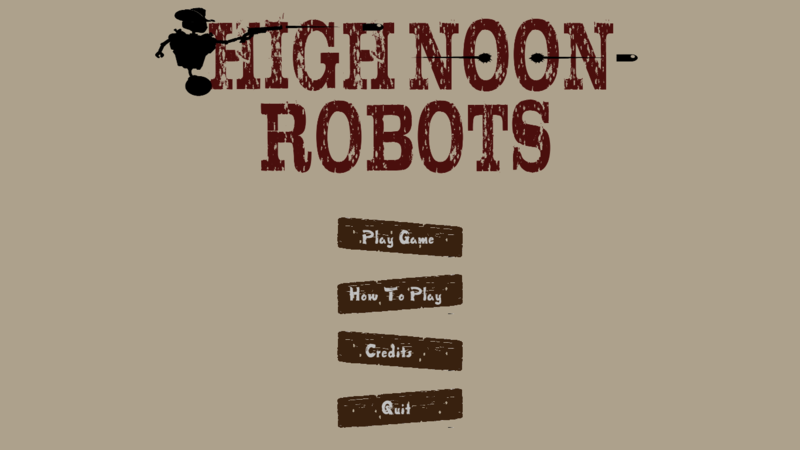 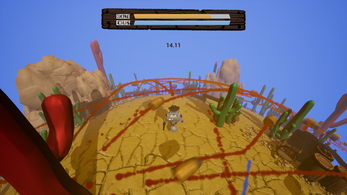 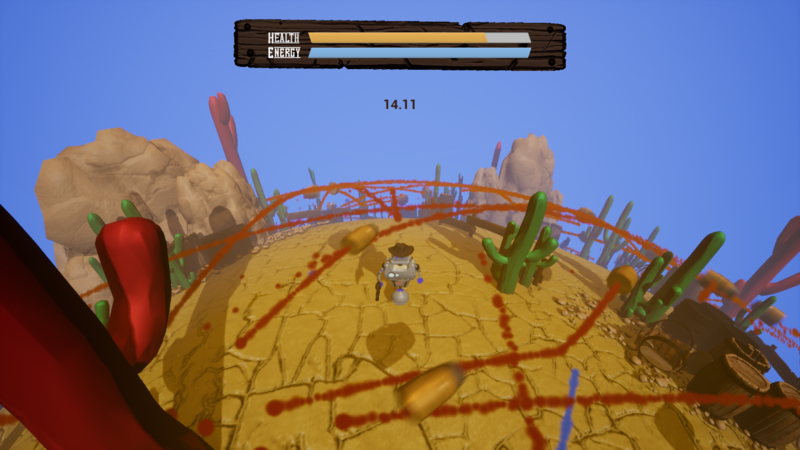 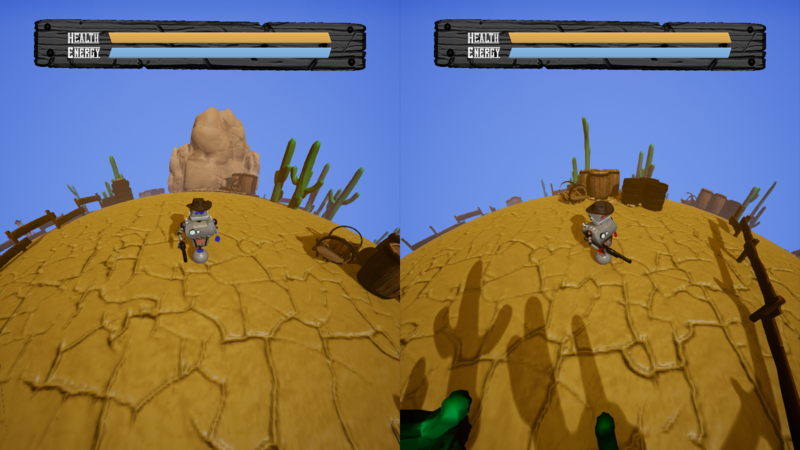 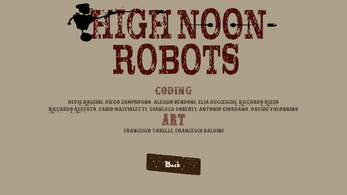 High Noon Robots is a competitive multiplayer game played on a small planet, where two robo-sheriffs fight in a crazy and frenetic deathmatch. 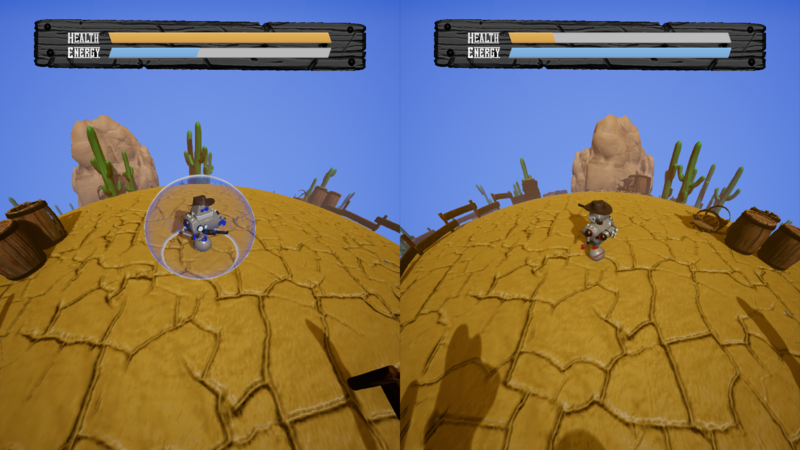 You can shoot your enemy, but be careful: if you miss it, you'll have to pay attention to your own bullet… it's a small planet, so watch your back! You can also play it alone in survival mode, where you will have to avoid the bullets shot from evil red cactuses to survive as long as you can! For the multiplayer mode a gamepad controller is required for the 2nd player. 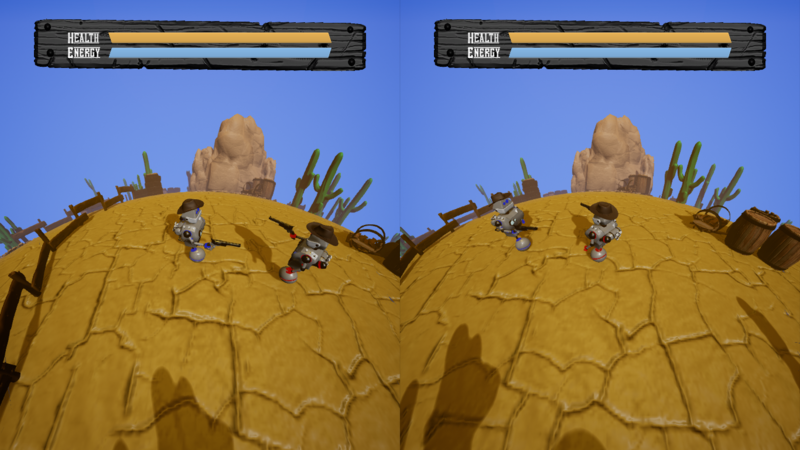 It works automatically with Xbox controllers; in case of PS4 controller, an external software is needed to make Windows recognize the gamepad.